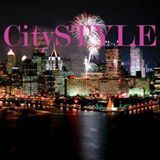 CitySTYLE – Keeping It Stylish in the City! WOW! I can’t believe it’s actually 2018! 2017 was great, and I’m looking forward to all the wonderful things that 2018 has in store! We hope 2018 brings you Good Health! Happiness! Adventure! New Streams of Income! Prosperity! Travel! Wellness! Good Energy! Love! Blessings! Gratitude! And Everything You Need and Want to Get You To The Next Journey of Your Fabulous Life! Continue reading Happy 2018!